Maybe you are new to taking networking exams or perhaps you have done plenty but never did a Cisco exam before. Nevertheless in this post i’d like to tell a little bit about the CCNA exam so you know what to expect. Cisco exams, and the CCNA exam is no exception are very ‘hands-on’ minded. This means if you have studied all your theory but never touched a router or switch before you are likely to fail. There are questions where they will show you the output of show or debug commands and the only way to answer these questions are to get hands-on experience (that means you have to lab!). Having said that, what type of questions can we expect on the exam? This is where you have to choose the best answer out of (mostly 4) possible answers. There’s only 1 best answer which means if you are doubting you just pick the “best” answer (or close your eyes and have faith). These are the “click all that apply” kind of questions. Normally you’ll get 6 possible answers and you’ll have to pick 2 or 3 of them. These questions will ask you to drag a block and put it on the correct position on a network topology. Here you will see a sentence with some empty words / values, you need to fill in the blanks by selecting the correct answer. This is where they show you a scenario, you need to take some time to read it and then answer 4 or 5 questions about this particular scenario. The simlet shows you a picture of a network topology, you can click on some of the devices and do some show commands or a ‘show running-configuration’. You don’t have to change the configuration, just answer some questions. This is where you actually configure a router or switch. Normally the simulation will tell you what to achieve to successfully complete the simulation. This will be something like “if you can ping router X then your task is completed”. If you have no idea what i’m talking about and want a more visual presentation i’d suggest to check out the Cisco site since they have a tutorial. Type in “cisco certification exam tutorial site:cisco.com” at Google and you’ll find it immediately. Relax, take it easy: Some people are very nervous about taking exams, especially if they feel that they NEED to pass since the boss is paying, your colleague already passed or whatever reasons you have…take it easy. Make sure you arrive 15 minutes before taking the CCNA exam so you can relax or read some quick notes. Check out the Cisco exam tutorial interface: Searching in Google as I specified above, make sure you are familiar with the interface. Free time: Once you start your exam you will have 10-15 minutes of time for the tutorial. This time is not withdrawn from your exam time! During the tutorial you can check out the tutorial or spend your valuable time writing down everything that could help you. Write down those binary numbers, all subnets from /16 to /30 with the number of hosts left in each subnet, the full subnet mask like 255.255.255.0 , 255.255.255.128 etc, the matching wildcards and perhaps the OSI model. Now you can spend your valuable time at answering questions and looking up subnetting questions on your sheet. No previous button: When i started doing Cisco exams I messed up because my Microsoft exam technique was to answer all questions, then return to question 1 and start over, checking all the questions. If you do a Cisco exam there’s no previous button….DOH! And the last tip, I really hope you don’t need it but in case you fail…don’t sweat it, it’s too bad but it’s still just an exam. You now have real life experience taking Cisco exams and believe it or not, this will help you for the next time! Make sure you write down or make a mental note of all the stuff you didn’t understand. Do this because you will forget in a day or two. Write it down and get back to studying, do some more labs and test your stuff. Do you think there is anything I should have added? Please share your opinion by leaving a comment…and if you pass your CCNA feel free to tell us about it in the forum or the community! A point on your last comment. first time i took my CCNA exam i failed. I got a score of 785. When i saw the score i was almost as happy as i would have been if i had passed. The exam is really hard and not like most over exams. namely MS. failing first time is not a bad thing and will give you the experience of what Cisco exams are like the the confidence for the next time. Do you think it’s better to take the CCENT first or just do everything at once (like a champion) ? My Cisco Instructor recommended to do the CCNA 200-120 as there is also a lot of CCENT questions that could help us to pass the exam. 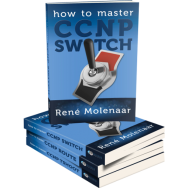 CCENT first is essentially ICND1, the first half of CCNA. Doing both together is what I did, but in retrospect, I should not have. I lacked some basic knowledge even after passing the test. Didn’t have enough initial exposure. Before the changes in 2013 the first exam (ICND1) was mostly “basic networking” and ICND2 had the more advanced topics like OSPF, EIGRP, IPv6, etc. Since they changed it, some topics like OSPF and IPv6 are now also in ICND1 so there is quite some overlap. For someone that is completely new to networking it’s probably best to do the exams seperately….if you are familiar with the basics, just try the exam in 1 try. I got my CCNA certification (640-802) almost three years ago, but unfortunately I dedicated my last 3 years to work on different issues, not related with Cisco, and now, I’ve forgotten a lot of things that I suspect I will remember just reading the material again. However, I have the whole CCNA material related with the old 640-802 certification, and I am not really confident whether studying that old material I could pass the new exam 200-120, or it is better to get a new material?. Even, I am not sure what are the differences between them?. Could you please advise me regarding on how to go on?. This is a question best for Rene, but my quick advice is get the new material and study that. Cisco does a pretty good job of keeping their exams relevant, so you’ll want to study what Cisco thinks its best for the industry. Too often we think we know better than the experts, so following their lead is often wise. I would recommend to get the new material, there are some major changes. these are so useful because before reading this topic, i thought i would pass the exam by just reading the theory. Networking training Hyderabad , Networking training , Online Networking training , ,networking course in Hyderabad,CCNA Security training in Hyderabad. Golars Networks has been committed to excellence in Networking and Security training. Golars Networks offers networking training. i am Microsoft Certified and want to expand my knowledge with Cisco. 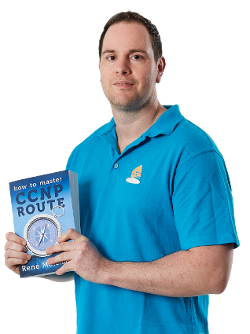 I would like to start with the study for the ICND1 exam…Which of your books should i read for the ICND1 exam ? and do i have to read the official cisco ICND1 book also or does the combination of your books and labs cover the ICND1 exam ?